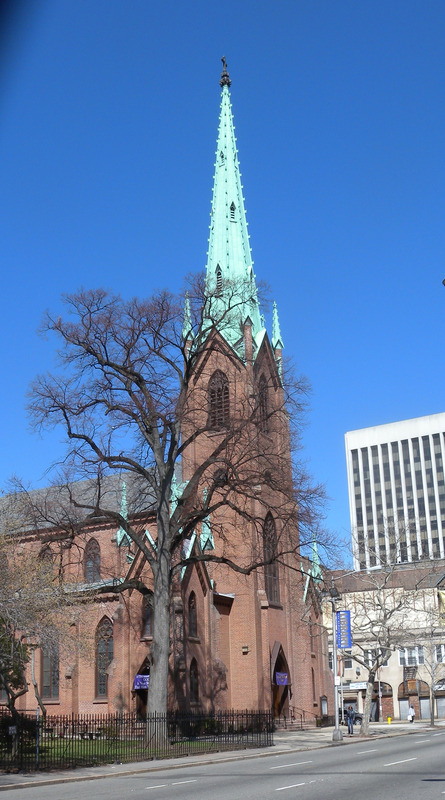 St. Patrick's Pro Cathedral is a Roman Catholic church in Newark. 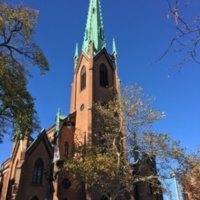 It was built in 1846 and from 1853 served as the seat of its prelate bishop until the Sacred Heart Cathedral was built. Designed in the Gothic style, it is, however, missing a transept. 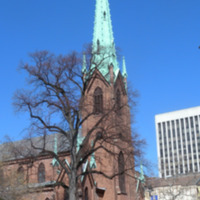 The front facade consist of an imposing tower topped by a copper spire with lucarnes. The main entrance is also located in this tower and is articulated by an ogee arch. 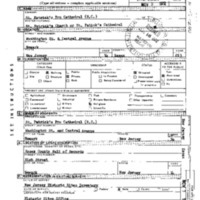 In 1972 it has been listed in the National Register of Historic Places. The church was renovated in 1857. In the 1950's, the building's walls were restored to their original state when the paint was removed to expose the brick. Gordon, Mark W., and Anthony Schuman, editors. 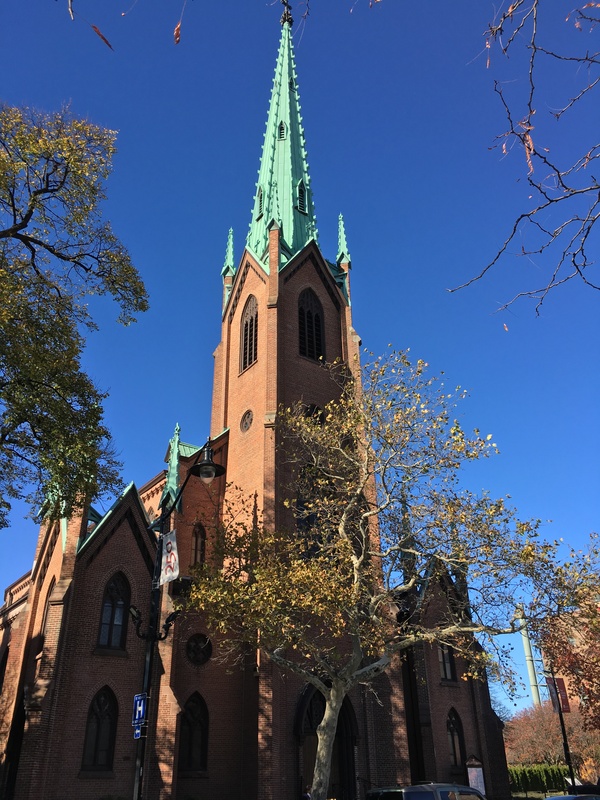 Newark Landmark Treasures: A Guide to the Landmark Buildings, Parks, Public Art & Historic Districts in New Jersey’s Metropolis. Newark Preservation and Landmarks Committee, 2016, p. 42.